Data structures provide a means to managing large amounts of information such as large databases, using SEO effectively, and creating Internet/Web indexing services. 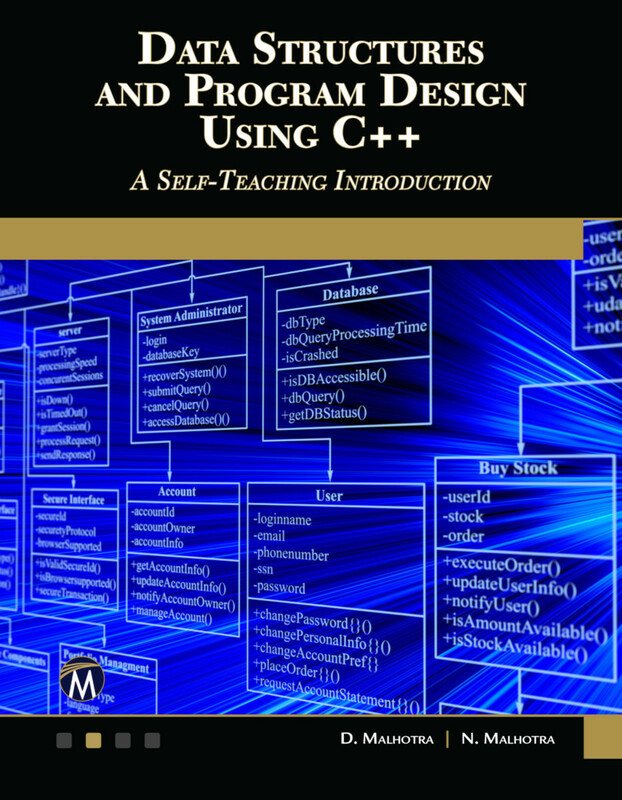 This book is designed to present fundamentals of data structures for beginners using the C++ programming language in a friendly, self-teaching, format. Practical analogies using real world applications are integrated throughout the text to explain technical concepts. The book includes a variety of end-of-chapter practice exercises, e.g., programming, theoretical, and multiple-choice. D. Malhotra is a university professor who teaches courses in computer science and has written numerous journal articles. N. Malhotra is a university professor who teaches courses in computer science and has written numerous journal articles.